Tower Court 962B - Queen's Grant You will fall in love with this new construction (2015) in the Queen’s Grant community. 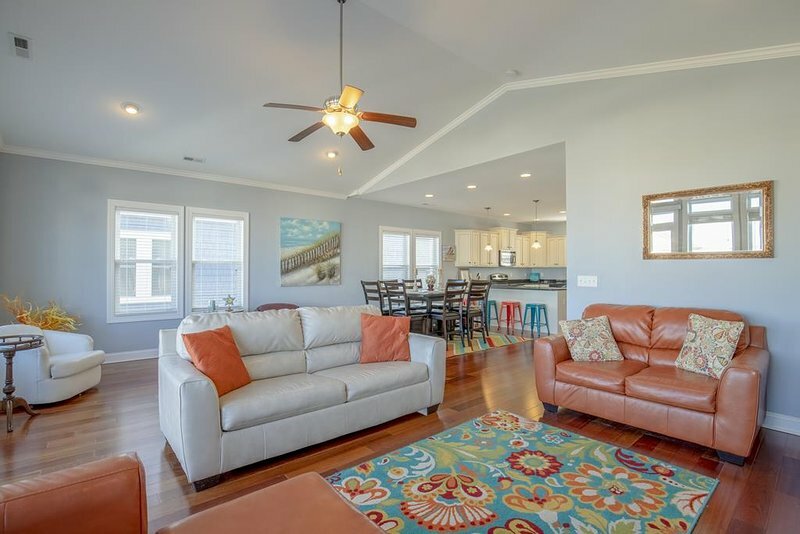 The home is beautiful with hardwood floors, granite countertops, elevator, new furniture, and easy access to the beach and sound. 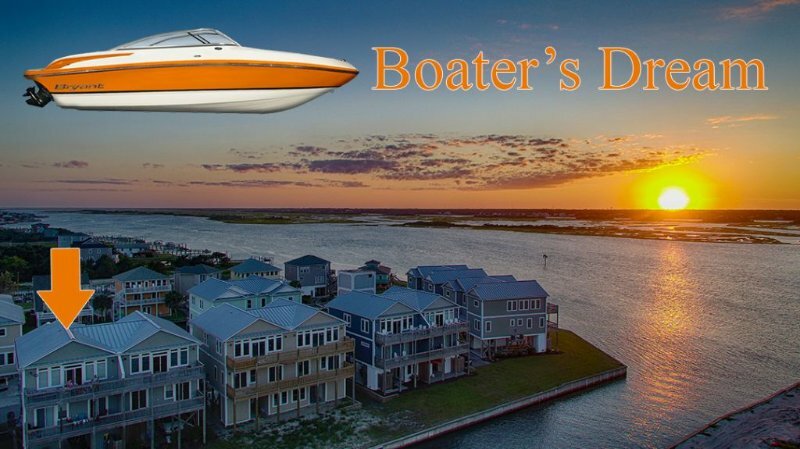 There is a boat dock with deep water access to the Intercostal Waterway just outside your front door! 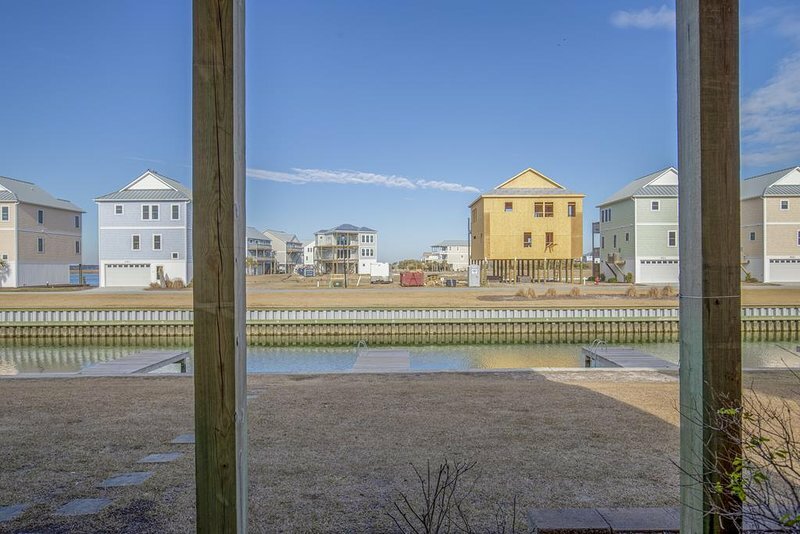 You will have access to the largest pool in Topsail Beach and the community hot tub! This home has three bedroom and two and one half bathrooms. The three bedrooms are on the first floor and the living room, dining room and kitchen are on the top floor. There is also a bunk bed room on the ground floor with a twin bunk. Bedding: K, Q, 3 twin bunk beds, and a sleeper sofa. Sleeps 12 Additional amenities include: swimming, outdoor furniture, farm holidays, elevator, surfing.